For around three years now Microsoft has said that official keyboard and mouse support is coming to Xbox One. Unfortunately, it’s yet to happen and we don’t currently have a date for when it will. No matter, though – if you simply can’t wait there’s a way to make it happen for yourself and we can tell you how. Now, there is some question as to the fairness of using a keyboard and mouse when others might be using a controller as it’s commonly accepted that those using a controller are at a disadvantage. However, Microsoft has been steadily bringing the Xbox and Windows 10 platforms closer together over the years and now that cross-play is becoming more common, it’s great to give players a choice. 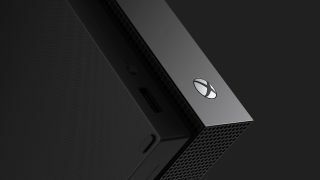 Microsoft’s official stance is that for reasons of developer freedom, player choice, and accessibility, it won’t be putting a stop to keyboard and mouse use on Xbox One, even though it could. Just try not to use these in competitive games or you might hit some consternation. If you’re not troubled by wires and you’re happy to sit close to your console, you can actually plug a wired keyboard into the USB port on your Xbox console. This has been possible for a while but it’s pretty limited and isn’t great for full-on gaming. It is pretty useful for sending messages or participating in stream chats you might be watching on your console, though. If, however, you want a full keyboard and mouse gaming experience you’re going to need a little something extra - an adapter and the patience to set it up. Using one of these isn't a simple matter of plug and play – they’ll require some set up, some wires and some software configuration. You have a few options when it comes to adapters and they vary in price. Below, we’ve listed some of the top suggestions and how they’ll help you. All of these devices essentially manipulate the signal from your controller, making the console think that the inputs from your mouse and keyboard are from a traditional console pad. CronusMax is one of the more affordable options on the market but it does have its limitations. Essentially it’s a simple USB device that will allow your console to recognize the keyboard and mouse as an input. It’s worth pointing out that you will need a PC close to your console to make this work as it needs to be plugged into both devices. As well as this, it only has one USB port so you’ll have to make sure your mouse and keyboard don’t have their own separate USB dongles and can connect to the one. XIM 4 is a more expensive option but it’s probably a more popular one and it offers a higher quality experience. The XIM 4 has next to no lag and it has two USB ports so no need to worry about your keyboard and mouse situation. It also has a free iOS and Android companion app so there's no need to have everything linked up to your PC to play or switch game profiles. XIM 4 is a little hard to find at the moment, but its successor, Apex, is expected in this first quarter of this year. Titan One is a third option and it’s another good one that’s quite similar to the CronusMax. It’ll also require that you keep your console and PC pretty close together and you'll have to download an additional MaxAim DI plugin in order to map controls. While these devices will work with many popular games, it's worth noting that they don't work with every single game out there so it's best to check the game you want to play is supported first. The same goes for the mouse and keyboard you'd like to use – make sure they're supported before purchasing.